The Weekend Playbook: Blind Tiger and ZOMBIES! Rhea's Cafe has started doing dinner, so go get some deliciousness. 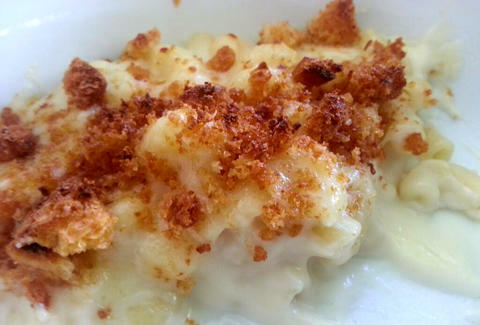 Unless you don't like lager-braised pork belly or white cheddar mac 'n cheese..
Sunday, July 21st Score some points with your GF or just be ready to class up your time with Truffle Guy, because the SF Symphony's doing their annual free concert in Dolores Park today. 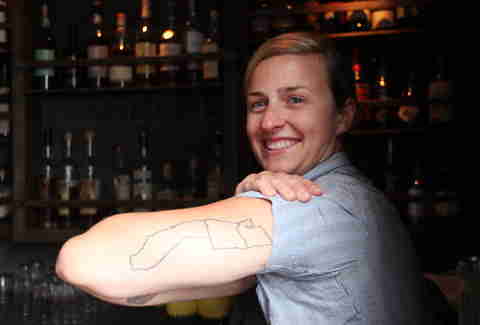 Meet Caitlin Laman, an awesomely West Coast-tattoo-repping bartender at Trick Dog in The Mission. Why we love her: 1) Her favorite thing to eat in the 'hood (though hard to choose) is the beef tacos from Namu Gaji, 2) she used to ride a unicycle, 3) favorite bartender is Tradition's Claire Sprouse, 4) she never watched cartoons (in fact they weird her out a little), and 5) she has a tattoo of a California brick that actually exists in the not-open-yet back patio of The Mill! How to get her attention at the bar: "Always be super nice to your bartender and they'll remember you."